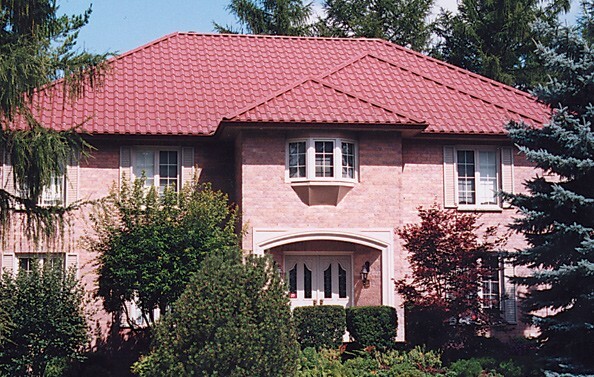 The Katech profile simulates the classic clay tile appearance. 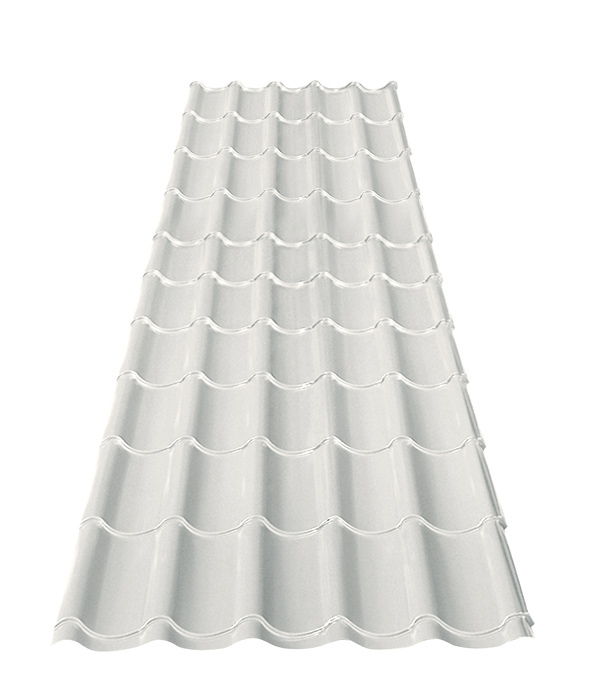 With a 3/4″ step every 16″ along the panels, this panel suits a variety of applications from stylish inner city to rural acreage lots. 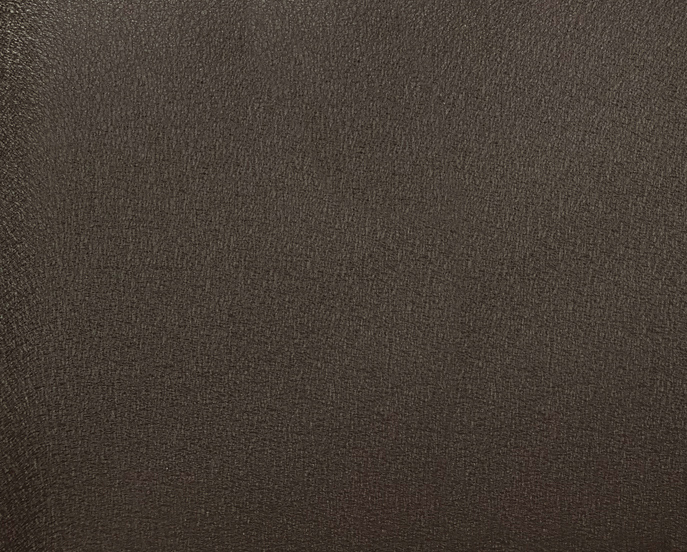 Set yourself apart and make a statement. * For interior applications only, not UV stabilized. 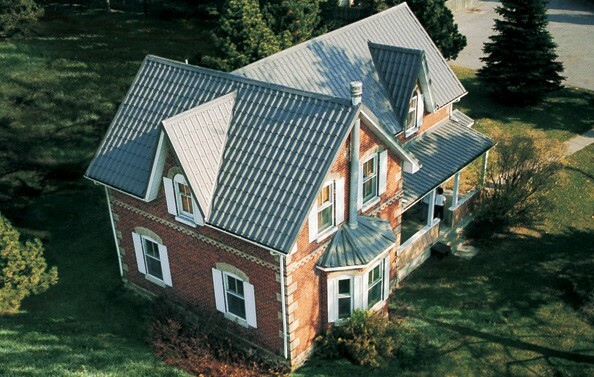 ** Coppertone and Bright Silver metallic finish, surcharge applies. 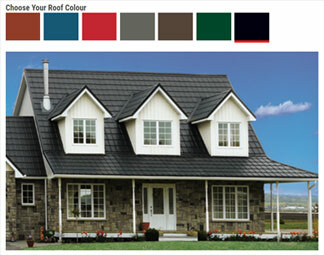 Use our roof colour visualizer to find the perfect colour for your house. 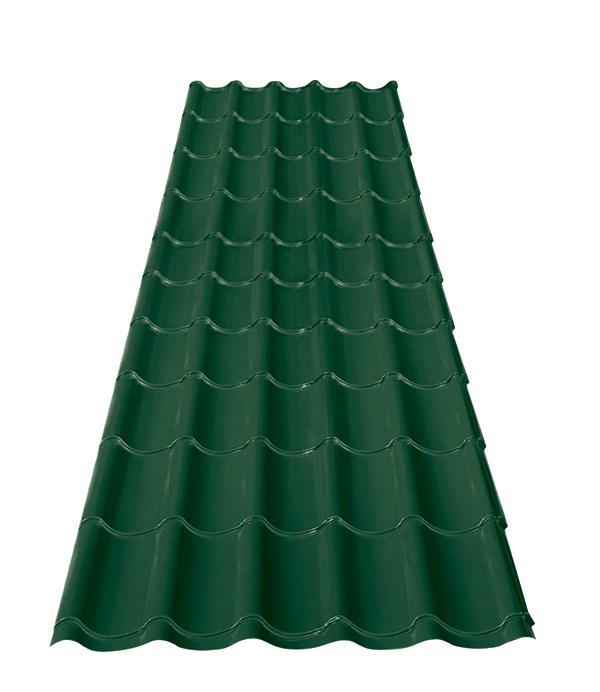 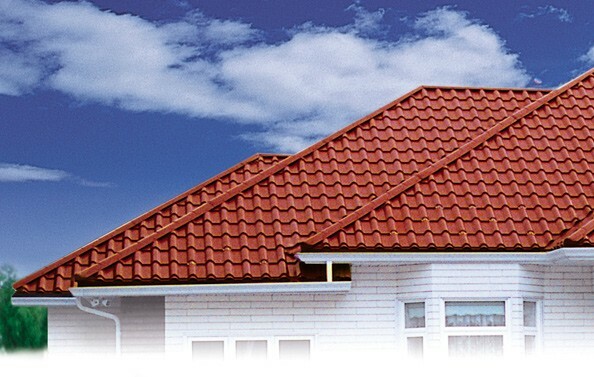 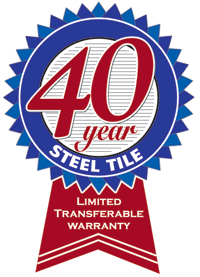 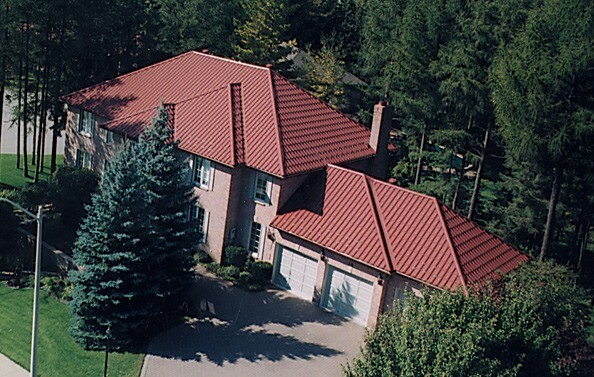 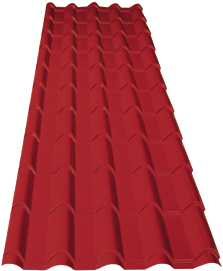 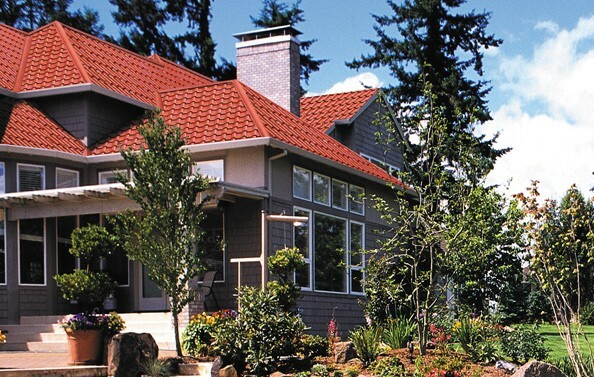 Change roof panels, colours and more to find the right look for you.